He regularly attended the venue and gradually began writing and playing shows himself in the Music City as well as the neighboring college circuit. Lynch signed a publishing deal with Super 98/The Song Factory in 2010 and a record deal with Broken Bow Records the following year. 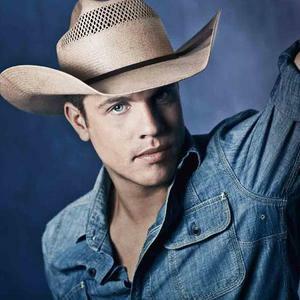 His debut single, "Cowboys and Angels", was released January 17, 2012. The note on the Bluebird Caf? 's Facebook page says it all: customers who visit the Nashville songwriters club ? instrumental in the development of Garth Brooks, Faith Hill and Kathy Mattea ? are expected to keep quiet and listen to the words from some of Music City's most influential composers. Listening has an added benefit ? it gives the listener a chance to learn. That's how singer-songwriter Dustin Lynch used the Bluebird. And he used it intensely. He rented an apartment behind the venue's back parking lot and literally walked to the Bluebird several times a week to listen and learn about the mysterious art of creating songs from some of Nashville's most important writers. Don Schlitz (?The Gambler? ), Tony Arata (?The Dance? ), Paul Overstreet (?Forever And Ever, Amen?) ? all are mainstays of the Bluebird legend, and it was at their proverbial feet that he picked up key insights about the writing process. ?I was soaking it in, trying to be a sponge,? Lynch says. ?I was mainly trying to hear the story behind the song, how it came about, what it's really about. There's something about understanding the songwriter's realm. You get a little more grip on the way it was written and why it was written and how they got to the finished product.? That education paid off in a big way for Lynch. He signed with Broken Bow Records ? the home of Jason Aldean and sister label to Stoney Creek Records (home to Thompson Square) ? and is working with producer Brett Beavers (known for his work with Dierks Bentley) and engineer Luke Wooten (Brad Paisley, Sunny Sweeney) on his debut album with a backlog of his own songs. He's written that material with a bundle of Music City's top writers ? Dallas Davidson (?Just A Kiss? ), Tim Nichols (?Live Like You Were Dying? ), Casey Beathard (?Don't Blink? ), Phil O'Donnell (?Back When I Knew It All?) and Steve Bogard (?Prayin' For Daylight? ), to name a few. But it all goes back to the Bluebird for Lynch, a native of Tullahoma, Tennessee. Influenced in his youth by such stalwart country singers as Alan Jackson, Garth Brooks and Clint Black, Lynch knew the importance of the Bluebird, and he chose his college ? David Lipscomb University ? in part because it was less than two miles from the club, which proved immensely important in his development. As he began to establish himself at the Bluebird, Lynch got a call from Pete Hartung ? manager for singer-songwriter Justin Moore ? who had found Dustin's MySpace page and wanted to get involved. Within weeks, Lynch had a publishing deal, and he made the most of it, writing a staggering 200+ songs in less than two years. ?I'm a workaholic,? he says. ?I was getting paid to write songs, so that's what I did. That's just the guy I am, if I'm not doing something I get bored, so I was trying to write the best record possible and decided to just get after it as hard as I can.? Even as a Bluebird visitor, Lynch had made an impression. After he signed his publishing deal, one of the company's executives persuaded Phil O'Donnell and Casey Beathard to book a co-writing session with the new writer, even though they'd never even heard his name. As soon as he walked through the door, they exploded: ?Holy crap, Dustin! We know you!? But it's not just physical recognition that Lynch has achieved with his studious approach to songwriting. He combined his fascination with words and melodies with concert skills he developed in high-school bands and playing the southeastern club circuit. That combination has made him one of country's artists to watch, a performer who's written his own mix of party songs and ballads with a unique perspective. It's his own viewpoint, honed from watching the world, and watching the experts. It's all there, waiting for anyone else willing to?